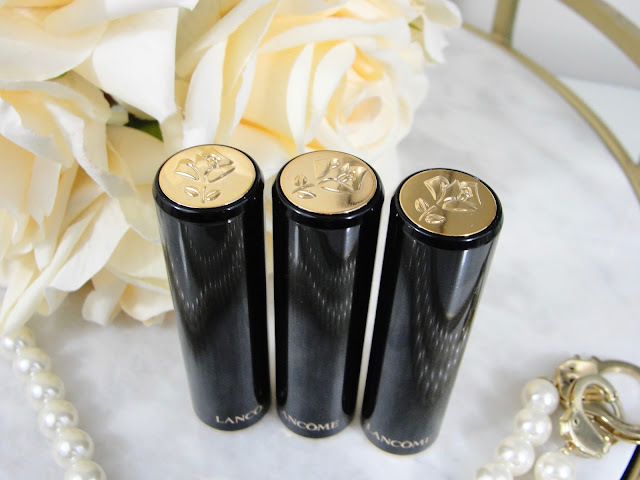 Today I have a review of the LANCÔME L'ABSOLU ROUGE lipsticks for you in 3 beautiful fall shades (hypnotique, secrete and berry noir)! I know! 2 of the colors look a little shocking at first sight- but have no fear: they are all very wearable colors and really won´t make you look like a vampire! Ha! Swatched them all for you and will tell you my thoughts on these! 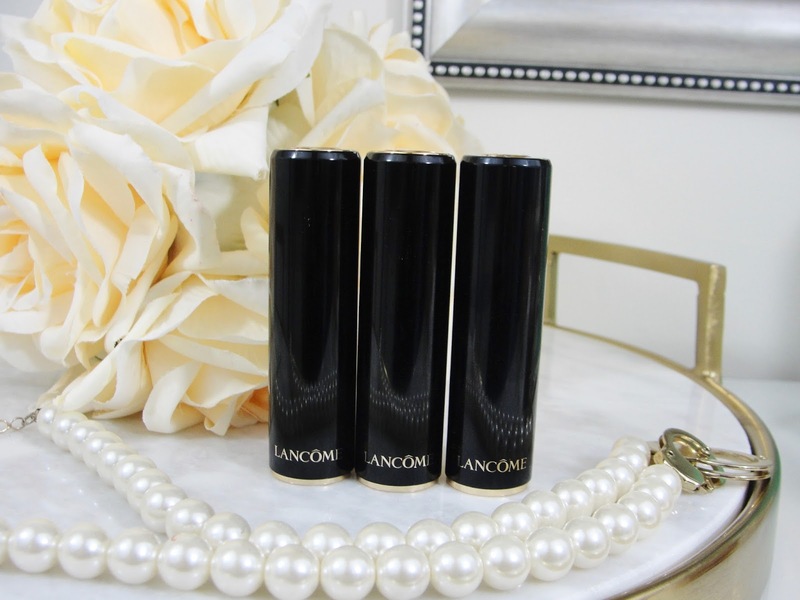 Gotta say: the lipstick tubes look so elegant! See that golden rose on the top of the tube? You have to click on there to open the lipstick up! 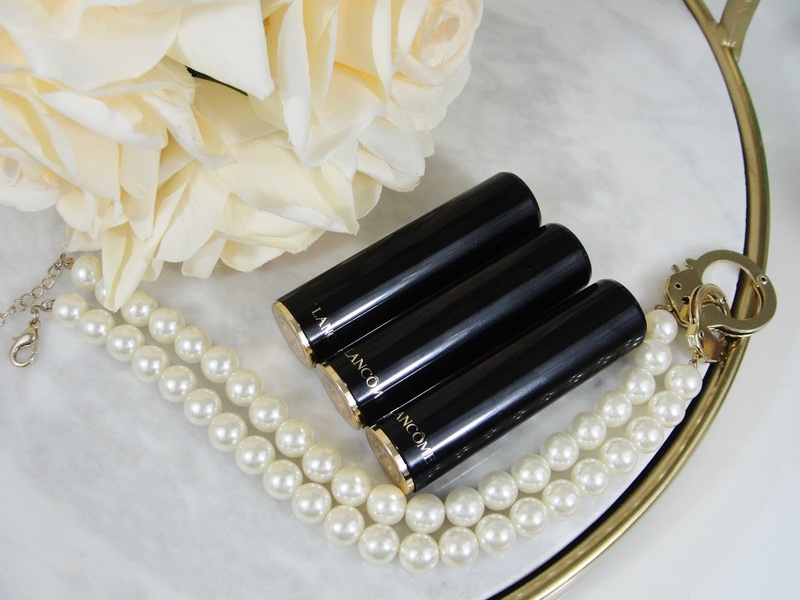 Dark blue metal tubes with golden details. Elegant y´all! And somehow very Holiday appropriate I´d say! Right? So elegant! I´d say this is a great stocking stuffer too! Now let´s take a closer look at the colors! 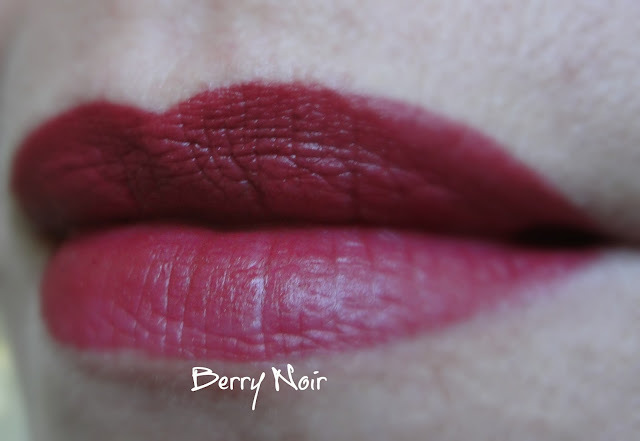 This is Berry Noir, a matte, super creamy muted red tone, that feels very comfortable on my lips. It applies very opaque, 1 layer is enough for amazing color payout and it lasts until I have my first meal. No settling into my fine lines at all! LOVE! This is my personal favorite out of the 3! A very wearable and elegant red for every day. Here comes Hypnotique, a color that looks almost pitch black out of the tube! I was scared to use it, as dark colors don´t really suit me. But: SURPRISE! Hypnotique is a sheer berry color! 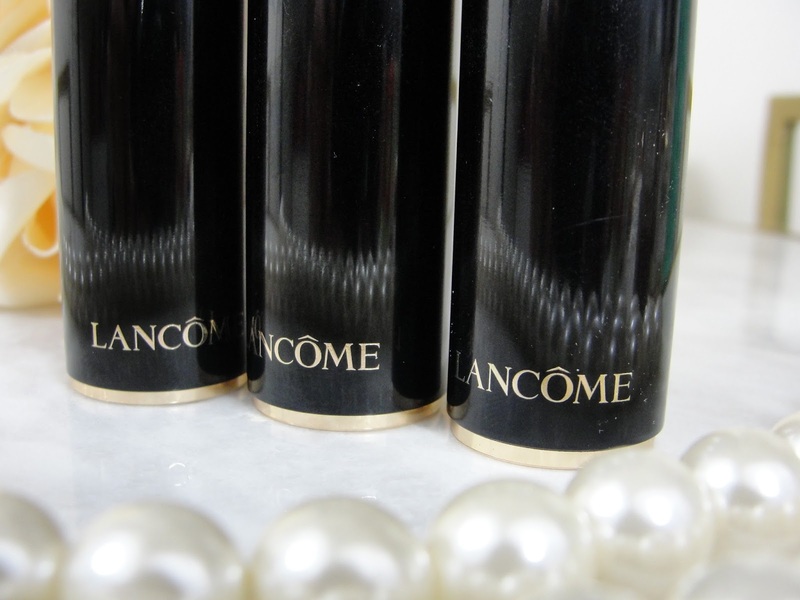 It is a very shiny formula- almost like a gloss. It looks like from berries bitten and feels very moisturizing. It - however- settles somewhat into my fine lines. Now this surprised you, right? 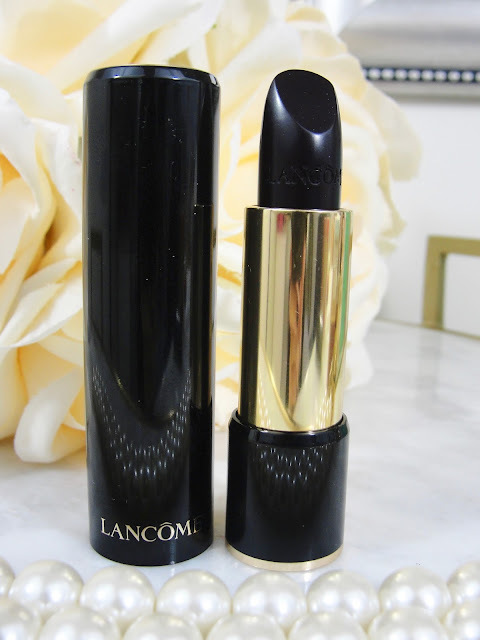 Who would´ve thought this pitch black lippie applies sheer like that? And here comes a Secrete! I mean the color Secrete! 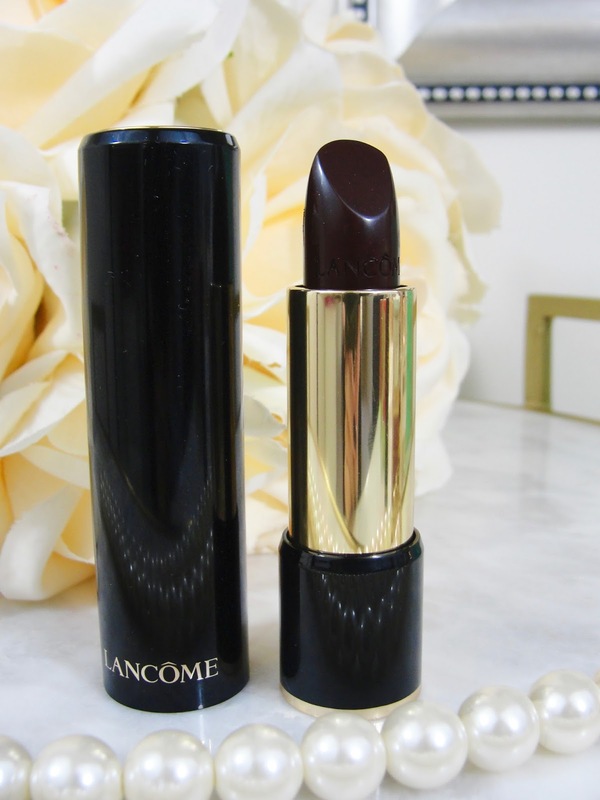 :-) You will be surprised: this deep dark brown looking lipstick applies like an "eggplant kind of purple" that isn´t too dark! 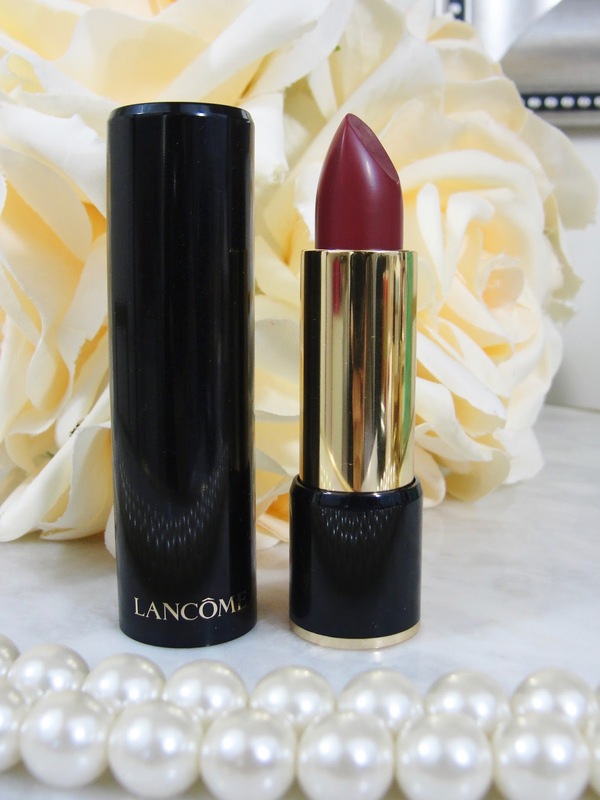 It is a creamy color, that feels very moisturizing. Now this one you can build up- from almost a sheer look to very dark- if you like! I applied 1 layer on this pic! You can apply 2 or 3 for a deeper look! Now Lancome claims that these last for up to 8 hours. Well, I feel like that would be only true, if I would not eat anything that day for 8 hours- but who does that? Not me! LOL! 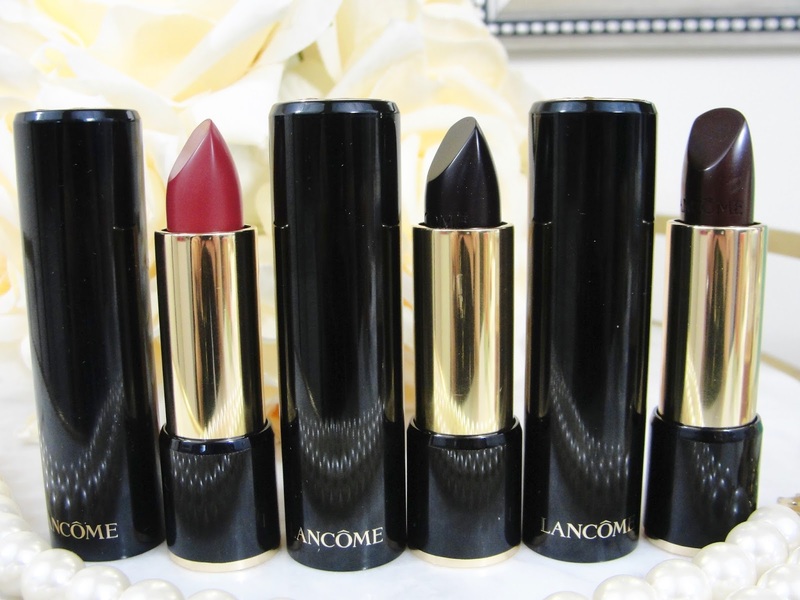 Personally I find that "Berry Noir" lasted the longest and that is a matte color- cause you gotta know: these lipsticks come in 44 (!!!) shades and include matte, sheers and cream colors. 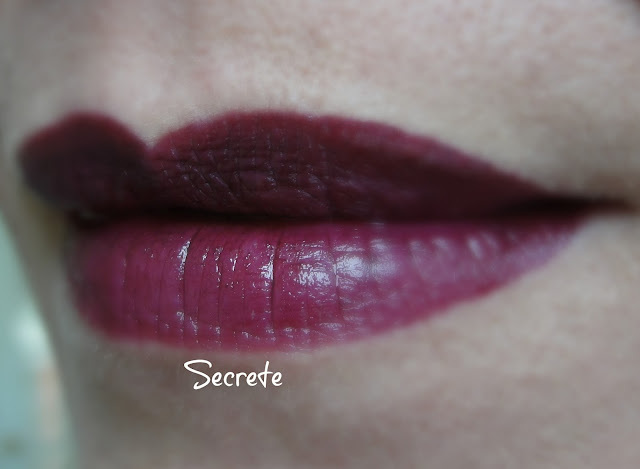 Secrete (cream) and Hypnotique (sheer) definitely wore off on me after lunch- not that I had no color on my lips anymore- but I needed to re-apply to make it look even again. So my guess is: go for matte if you like to have it last a little longer. 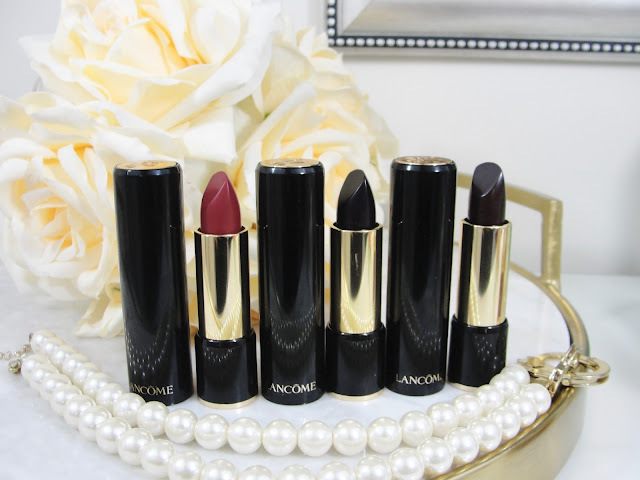 Overall these colors are gorgeous for fall and they won´t dry out your lips- not even the matte colors! Love them, you can get them at Sephora!